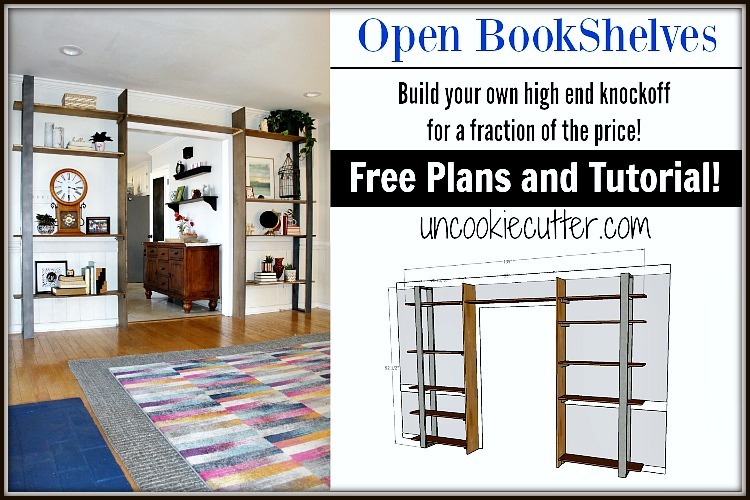 Open Bookshelves – Free Plans! 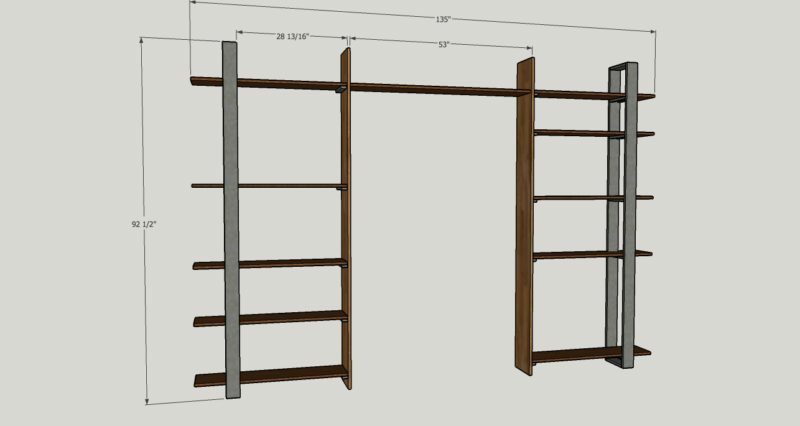 These plans for open bookshelves walk you through building your own high end furniture piece for a fraction of the cost! 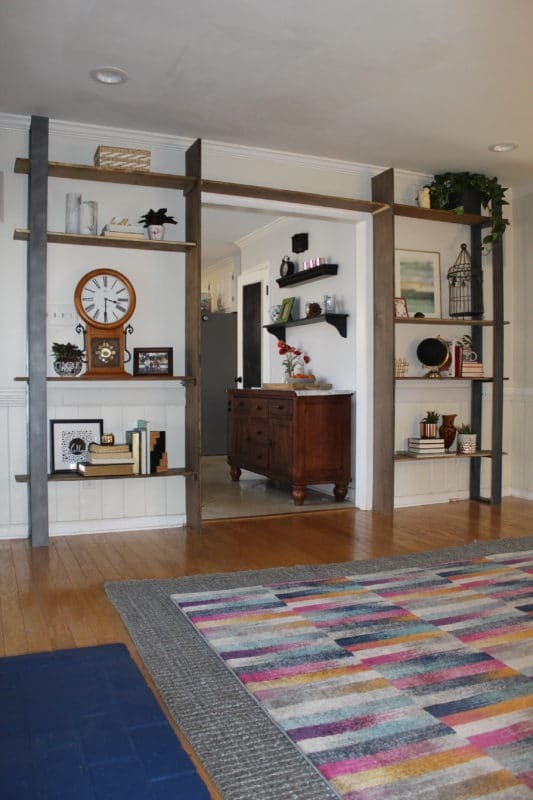 Today I have some awesome plans to build your own open bookshelves like my friend Kim did. Have you guys ever seen a set of shelves like these and thought “hmmm….beautiful but too expensive for me!”? Well, my friend Kim thought that and decided she wanted try and build them. She called me and we worked together – I drew her so plans and she killed it. She redid her living room for around $100 and these bookshelves and that awesome fireplace became the focal points. Can you have two focal points? Well, you can do whatever you want ;). 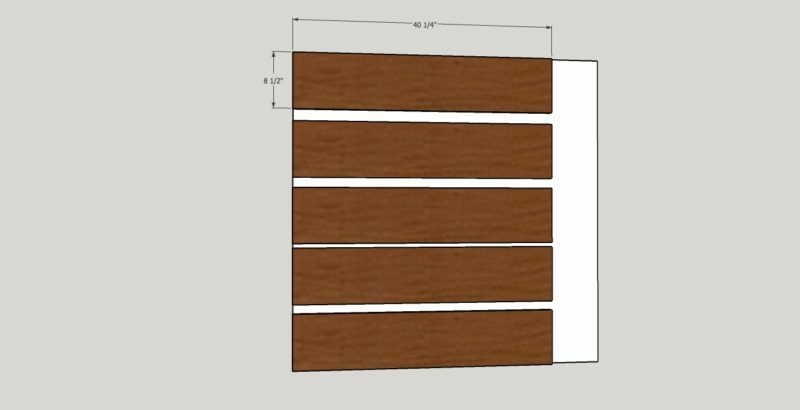 Without further ado…here are the plans for the open bookshelves. Make them your own by making one or both, or add another one. Make sure to head over and get Kim’s tip and tricks, including how she painted that metal piece…*hint – it’s not metal at all! Note *These open bookshelves have 3 fixed shelves on each side and the rest of the shelves are adjustable. Please read through the entire process before starting. Refer to Kim’s post (here) and read through the entirety of it as well. If you have any questions, please ask before you get started. Use your drill press to drill holes in two vertical inside pieces (92 ½” x 10” plywood). Do not drill all the way through. Set your drill press to come down about 1/2″ into the board. Or see Kim’s notes on how to assemble a jig for your drill. Place the first holes with the center of the hole 15” from the top of the board and 3” from each outside edge. 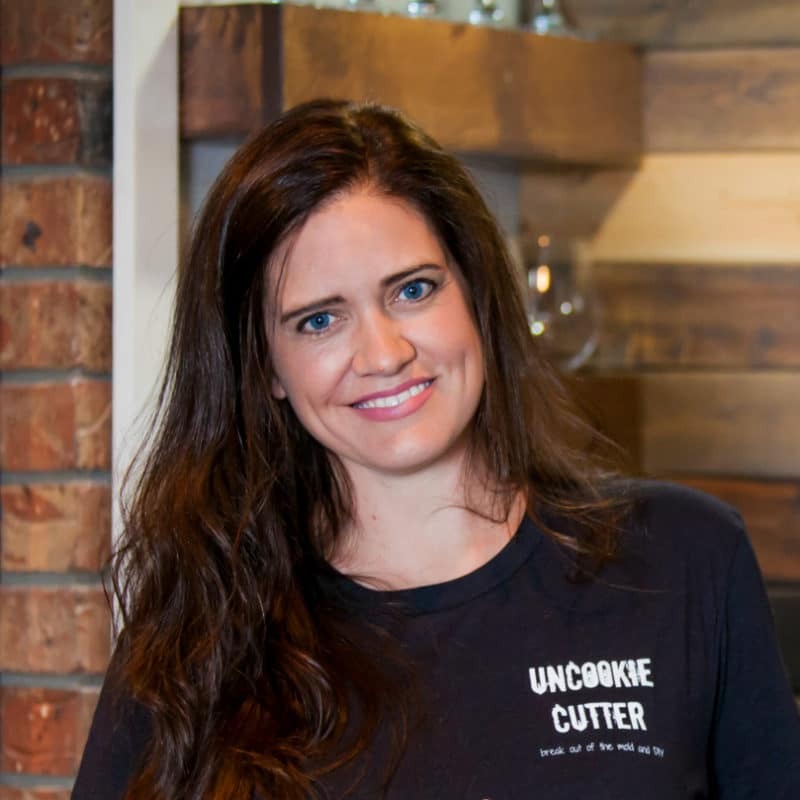 Kim noted that she needed to lower the first row down about 3/4 of an inch to fit on her doorway, so go visit her page and measure your space before you start. I spaced the holes 5” apart, with a 15” space between the 8th and 9th rows to allow for the fixed center shelf. Use the drill press again to drill holes in the 92” 1x4s. Make sure to measure carefully, they need to line up with the boards from step one and with each other so that your shelves will sit flat. Use the same hole spacing as before, but with only one row and the center point of each hole right in the middle of the board. Do this for all four pieces. Insert pocket hole on one side of each of the four 40 1/4″ smaller shelves. Drill pocket holes in a 8 ½” 1 x 4 as shown. Repeat this for 8 total of the 14 pieces. Assemble the faux metal pieces. Use a framing square and clamps to hold the pieces together. Use wood glue and 1 ¼” pocket hole screws to attach pieces. Make sure the pocket holes are on the outside, so they will be hidden when assembled. Add support shelves to the previous piece using previous drilled pocket holes and glue. Attach open tower to wall using nail driver and make sure it’s level. Make sure to note the top. Lean the 10″ vertical piece in place on the wall and slide the shelves into the open tower and level them onto the 10″ vertical piece. Mark the location where they will meet. Lay the 10″ vertical piece on the ground and attach stationary shelves. Measurements are approximate, use your marks from the previous step. Attach 1 x 2 pieces to the bottom of shelves from previous step. Attach the two vertical pieces together. Stand the one side up and slide into place. Use a brad nailer to attach the pieces to the supports. Repeat for the other side and secure to wall. See Kim’s notes for further tips. Now we will the center support shelf above the door. Add 1×2 supports to the outside of each tower. Slide the top shelf into place and secure with brad nailer. *Optional for extra support – Drill pocket holes into shelf and attach to wall and vertical columns from the top. And Done! Yay! Kim did an awesome job and the great thing about these is you can customize them however you like. 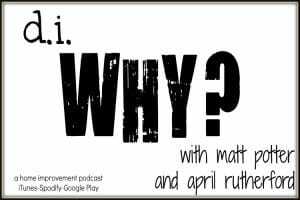 Okay, Questions…and go! Let me know if something doesn’t make sense and be sure to read through Kim’s post for more details. « Favorite Gifts from Christmas 2017 – What we LOVED!